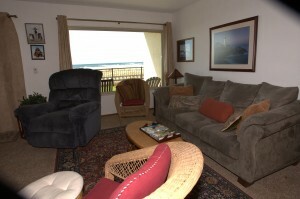 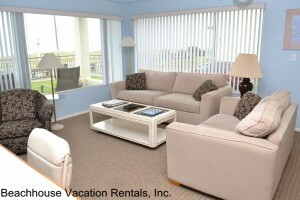 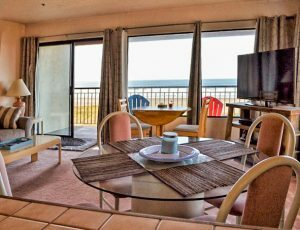 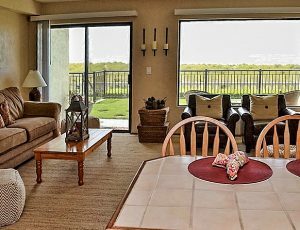 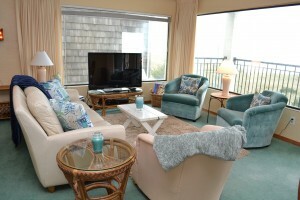 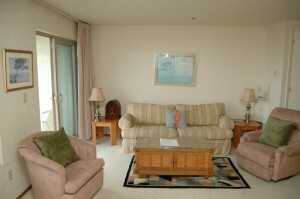 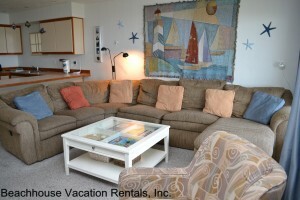 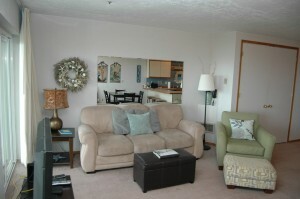 Our individually decorated spacious units all have beautiful seaside ocean views with private patios. 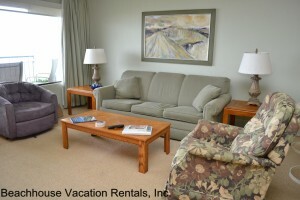 They feature queen and king sized beds and accommodate six people comfortably. 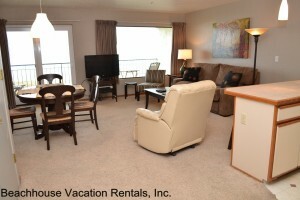 Each unit includes a master bedroom, two full bathrooms, color TV, phones, and all amenities. 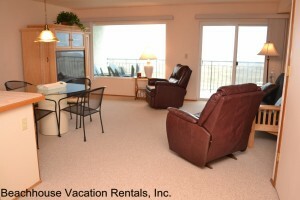 We are especially proud of our complete kitchens, featuring microwaves and dishwashers. 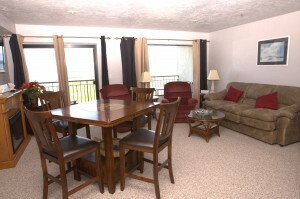 We also have an elevator, laundry room, and ample parking. 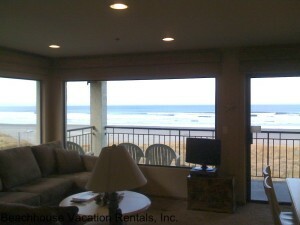 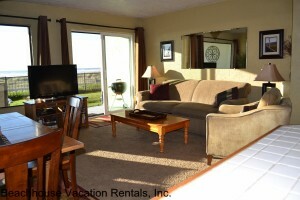 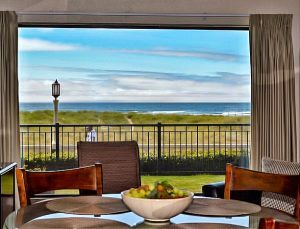 Located within easy walking distance to shops and restaurants in Seaside, Oregon. 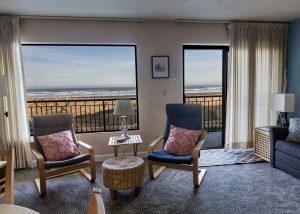 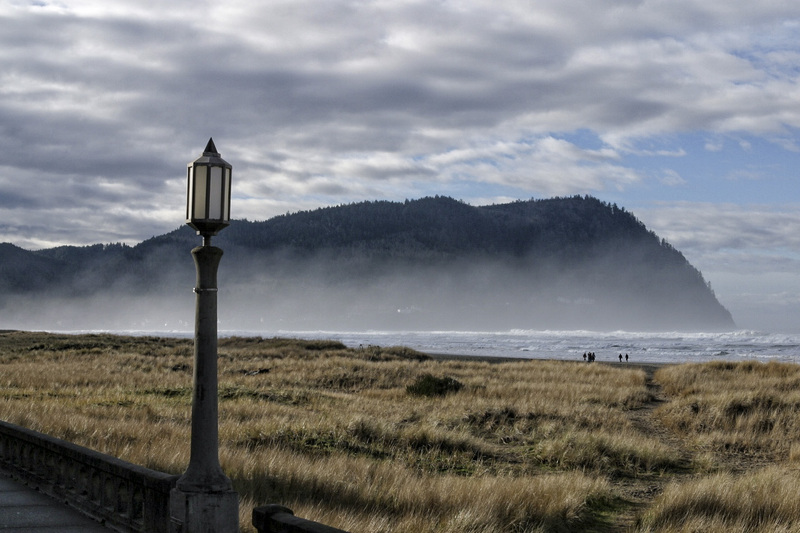 Overlooking the Prom, the surf, and the shimmering sand against the backdrop of Tillamook Head.